On January 4, 2019, Governor John Kasich signed into law Ohio’s New Home Inspection Act. Efforts to regulate home inspections, and require licensure for Ohio Home Inspectors has been ongoing for several years, but no legislation ever had enough support to pass until this year. It will take some period of time for this legislation to become fully effective, but it is something that all Home Inspectors, and Realtors in the State should now put on their radar and endeavor to keep themselves updated concerning the laws requirements. The broad overview of the Act is that Home Inspectors will now be required to obtain a license, and will only be able to obtain a license after they complete approved education courses or demonstrate com petence through the completion of other inspections or other equivalent experience. Additionally, Home Inspectors must pass the National Home Inspector Examination and all home inspections must be performed pursuant to a written contract. The Act, codified at O.R.C. §4764.01, through O.R.C. §4764.99 goes into effect April 5, 2019. However, it is not expected that licenses will be issued until late 2019 or early 2020. The Act is going to be overseen and enforced by the Superintendent of Real Estate and Professional Licensing, and an Ohio Home Inspector Board, which is yet to be created. Under the Act, the Governor has 90 days following the effective date of the law to appoint members to the Ohio Home Inspector Board. The Board will then need to design and approve the curriculum and courses that the Inspectors will be required to take, pass, and continue to take to maintain their continuing education obligations under the Act. The Board will also be responsible for investigating complaints, renewing, and if appropriate, suspending licenses, and investigating other matters concerning Home Inspectors, as well as establishing the requirements for conducting a home inspection in compliance with the Act. Additional highlights of the Act are that applicants will be required to submit fingerprints for the purpose of submitting to a criminal record check prior to receiving their license. Home Inspectors, or the company that employs them, will also be required to maintain comprehensive general liability insurance. Once a license is issued, it will be valid for a period of three (3) years. The Act also legislates that Home Inspectors implement a document retention program such that for period of five (5) years all written contracts for inspections, as well as all other inspection reports, be maintained for five (5) years. 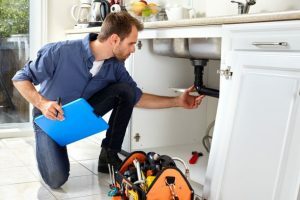 Should a consumer have a complaint with a home inspection, the Act provides that if both the complainant and the Home Inspector desire mediation, then informal mediation may be conducted to resolve the dispute. Any resolution through the mediation, and any report issued arising out of the mediation will be confidential and not a public record. Similar to statutes involving home construction, the statute also requires that before bringing a civil action against a Home Inspector that the Home Inspector be given notice of the complaint, and an opportunity to address or remedy any alleged deficiencies. The Act creates a statute of limitations of one (1) year from the date the home inspection services were performed to pursue a civil action against a Home Inspector, but that one (1) year period is tolled during the period of time that the Home Inspector is granted the opportunity to remedy or address the alleged deficiencies. Notably, the Act also creates a home inspection recovery fund, to be funded by a portion of the license fee. Once the fund is established with suitable funds, the Act provides that any person who has a final judgment against a Home Inspector that remains either unsatisfied or which is not fully satisfied, despite collection efforts, can initiate an application in the Common Pleas Court of Franklin County for payment from the fund. Payments from the fund will not cover punitive damages, attorney’s fees, or interest, but will be reviewed by the Superintendent to apply to any unrecovered or uncollected principle judgment balance. The liability of the fund shall not exceed $40,000.00 for any one (1) licensee. In light of the new Act, and specifically the Acts requirement that all home construction services be performed pursuant to a written contract, Home Inspectors would be wise to consult with their counsel and insure that their documents and client agreements going forwarding after April 5th, 2019 are in compliance with the Act. If you have any questions or comments concerning any of the foregoing, please don’t hesitate to contact Michael W. Sandner at msandner@pselaw.com or (937) 223-1130.